We’re big on salads, growing greens for 12 months of the year. And often, the only thing hindering us from making a salad for lunch or dinner is…the dressing. If you don’t have one ready to just throw on your greens, chances are you’ll skip the salad on a busy day. Solution? Make a big batch of the most delicious dressing you can cobble together so it lasts several weeks in the fridge. Crush about 4-6 cloves of garlic. 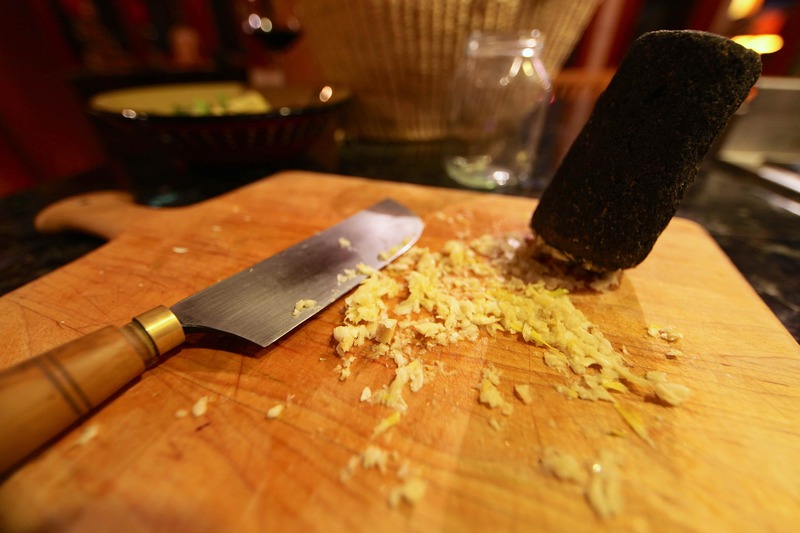 We use a garlic crushing stone. 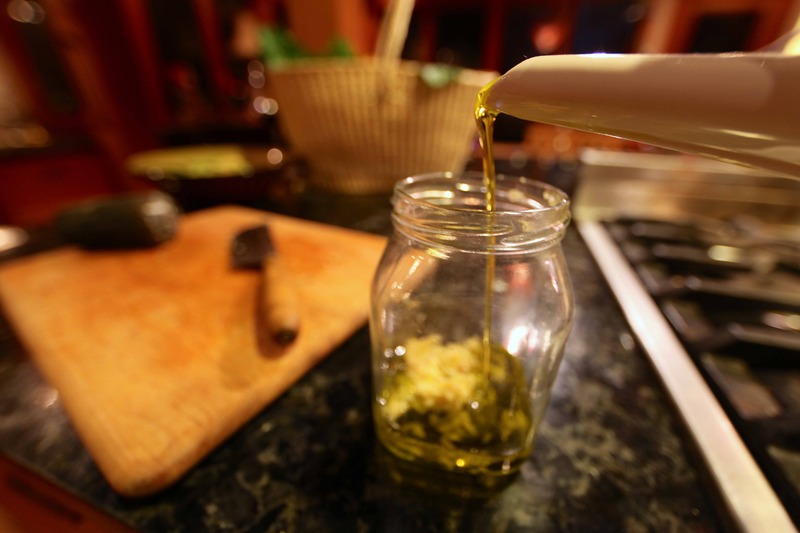 Place in your favorite jar and add 1/2 Cup extra virgin olive oil. Add about a tablespoon of fish sauce. Fish sauce? 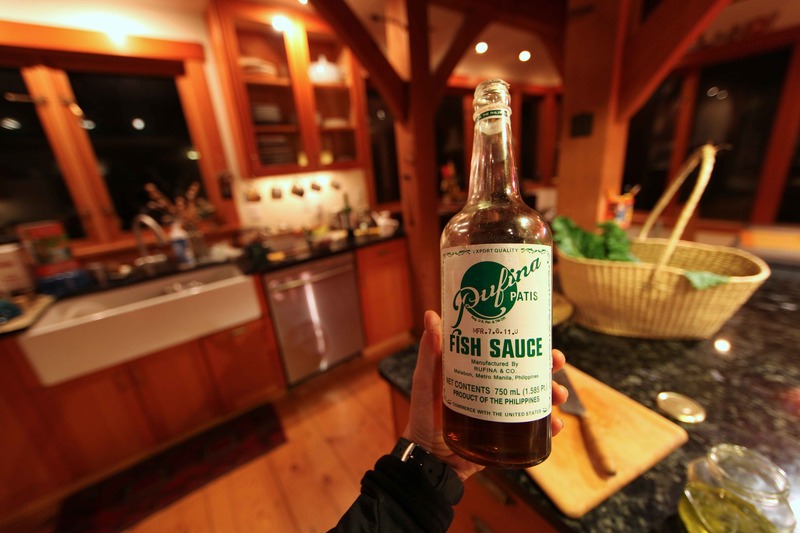 Yes, fish sauce, as found in Thailand, Vietnam, and in the Philippines is a savory seasoning staple in our household. It serves as an easy alternative to anchovies in this recipe. Be sure to buy it in a glass bottle. 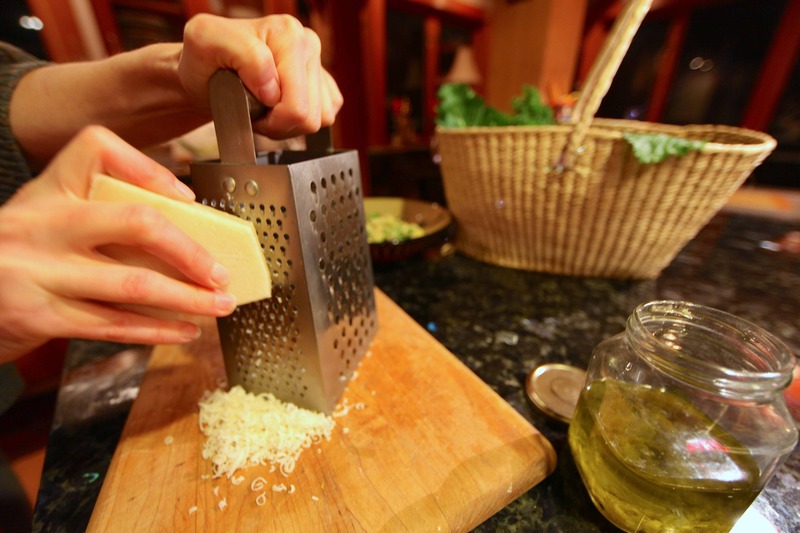 Add about 1/2 cup freshly grated parmesan cheese. 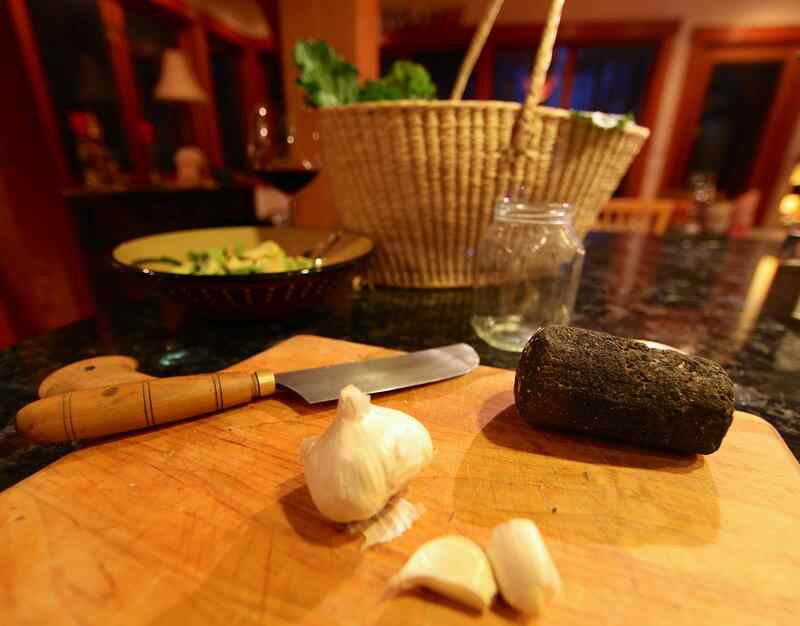 Add a tablespoon or 2 of red wine vinegar or homemade vinegar from your fruit scraps. Done! Every time you use the dressing, you can add a little more parmesan cheese for added flavor. Also, it’s easy to adjust the amount of vinegar and fish sauce to taste. Every fish sauce tastes a little different from the next brand and vinegars, too, can be stronger than others. 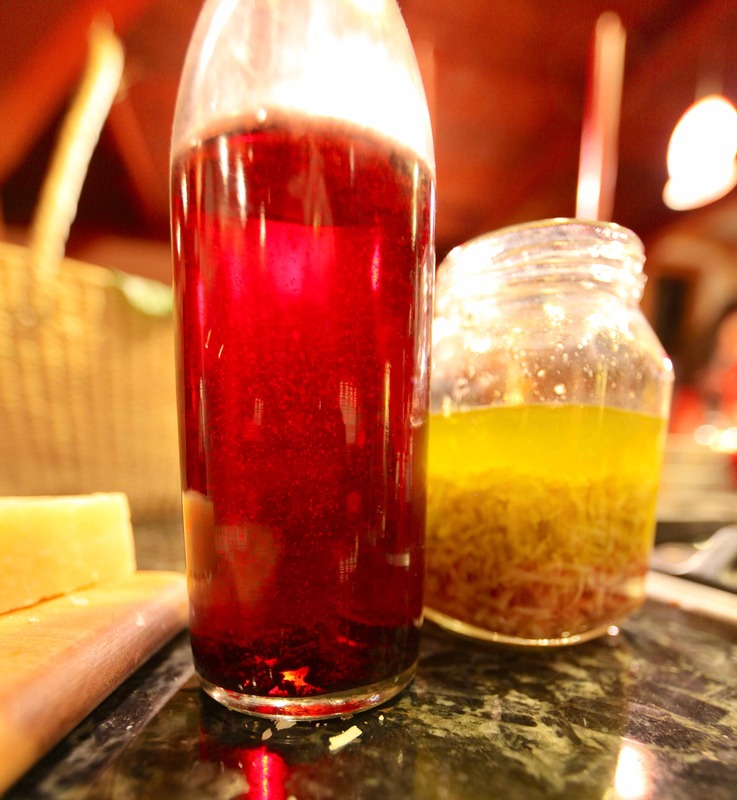 We use anything from our homemade red wine, cider, and blackberry vinegars to malt vinegar. Our children just love this dressing. Enjoy!